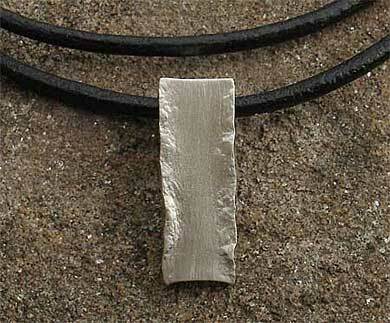 Handmade Silver Pendant : LOVE2HAVE in the UK! 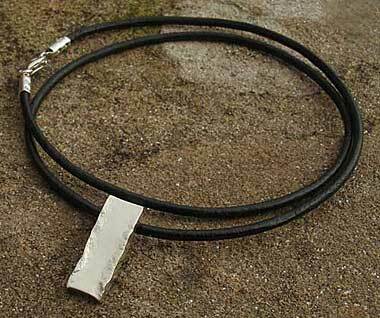 This handmade silver pendant for men and women features the same styling as the bracelets and rings we sell with this style of design. It features a smooth style top surface in a satin matte finish and has a lovely melted organic, almost liquid styling to the appearance that comes handcrafted to the highest quality. As pictured the profiling has an uneven wall that undulates where is hand hammered. The outer hammered mercury edges are in a polished finish. The width is 7mm, and it is 19mm long. 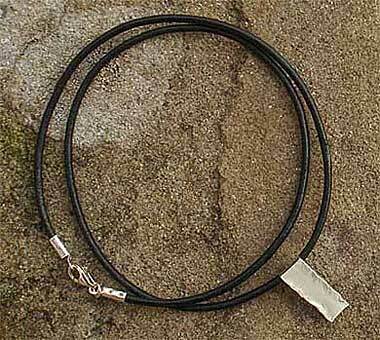 The pendant comes threaded onto a 17-inch black leather necklace.